When you think about your health, you think about your heart, blood pressure and eating right. One thing you might not consider is the health of your eyes. Your eyes are always working for you, so it is important that you take care of them. Here are some things to keep in mind about general eye care. Each year, you should have a detailed eye exam, including having your pupils dilated. An exam that includes dilation can help identify eye diseases in their early stages. Also, you might see better with contact lenses or glasses without even realizing it. Many diseases that involve the eyes run in families. This makes knowing your family’s eye health history essential to keeping your eyes in top condition. When your doctor knows the types of problems your family has faced, he will be able to determine what tests you need and precautions to take. You already know eating carrots can help your eyesight. However, dark leafy greens are also essential to keeping your eyes healthy and seeing properly. Adding fish that is high in Omega 3 such as salmon and tuna can help keep your eyes in great condition too. Sunglasses are more than a fashion statement. They are the first line of defense for your eyes against the sun and its UV rays. However, make sure you are purchasing pairs that block out 99 to 100 percent of the sun’s UV-A and UV-B radiation. In today’s modern world, you probably spend extended periods looking at a computer screen. When you are looking at a computer, you do not blink as often as you should, causing eye strain. There is a well-known formula to help: the 20-20-20. After 20 minutes, you should look about 20 feet away from your computer for 20 seconds to give your eyes the break they need. The best thing you can do for your eyes is to get regular exams. Beach Eye Medical Group is ready to help you get your eyes in tip-top shape. Please contact us to schedule an appointment and learn more about general eye care. Age-related macular degeneration is one health problem that many seniors fear and with good reason. It robs individuals of their ability to see properly. At least that was the case until now. We’ve been following general eye care news and are happy to say that a breakthrough has been made. It appears that designers have found a way to improve AMD sufferers’ vision without surgical intervention. It comes in the form of a very special contact lens, which isn’t on the market just yet. What makes this contact lens stand out above the rest is its built-in, reflective telescope. Yes, we said a telescope, but rest assured it looks nothing like the ones scientists use to view the stars. This one is so small, it’s virtually undetectable to people who may be staring someone directly into the eyes. Plus, it isn’t operated by hand. People use the power of their peepers instead. All that’s required to zoom in or zoom away from an object is a wink of the left or right eye. Despite being groundbreaking, there are still some kinks with the lens though. That’s why we won’t be seeing it available through optical boutiques in Huntington Beach, California, for quite some time. Nonetheless, we wanted to pass along the news and mention that there are other AMD treatments available to our clients in the meantime. Among them are low-vision aids, specialty lighting and other devices which our physicians can discuss with interested clients. In addition, our general eye care practitioners are capable of confirming whether or not a person has AMD. Confirmation is typically achieved through the use of in-depth eye exams and specialized equipment, like cameras and lasers. They are typically used during fluorescein angiographies. They produce highly detailed images of the eye, which are used to make a wide variety of diagnoses. To learn more and stay on top of general eye care trends, please contact us at Beach Eye Medical Group. Choosing a pair of glasses for the first time can be a daunting task. At Beach Eye Medical Group, we have an optical boutique that has an extensive selection of glasses to choose from, as well as a helpful staff to aid you in selecting the perfect pair of glasses. If you are nervous about choosing your first pair of glasses, here are some tips to consider before your visit. Get to know your face.Study your face in the mirror. Look at the overall shape and size that make your face. What is trendy will not necessarily be the type of glasses that work best with your face, so familiarizing yourself beforehand about how your face looks can help speed up the process during your optical boutique visit. Test out different hairstyles.You want to make sure to look at your face with different hairstyles, as your glasses will need to look good with anyway you wear your hair. After you have an idea of how your face looks under different hairstyles, make sure you wear your favorite and most common hairstyle on the day of your appointment. This will allow you to see exactly how your new glasses will look. Consider the details.Think about what colors you might like for your glasses and whether you like thick frames or thin frames. You will be able to try different pairs of glasses on, but having a preliminary idea of things you might want to try can speed up the process. Take a deep breath.Our staff is prepared to help you through this process. We will be happy to have you try on different pairs until you find the right ones. We have been in this business for years, so we can answer your questions and offer suggestions that will allow you to find the perfect, most amazing pair of glasses for your unique face. If you need a new pair of glasses or any other eye care needs, please contact us. At some point throughout your lifetime, its very possible that you will experience some sort of vision loss. While it can happen in your youth, as you age certain types of eye disorders become more common. Eyesight is one of the most valued senses, allowing us to capture the world around us. Maintaining eyesight is very important; here are a list of some common disorders and how to spot them! Cataracts are referred to as a clouding of the lens, often causing problems with your vision. While they are more common in people 40 or over, they can develop at any age. Cataracts are caused by injury as well as protein deterioration which occurs over time. This causes the protein fluid in the eye’s lens to build up. Risk Factors include: UV radiation, diabetes, obesity, and smoking. Cataracts start out small, having little effect on your vision but as they grow you may notice that your vision becomes cloudier, colors appear more dull, and lights have more of a glare. Good news is, cataracts are easily treated, and cataract surgery usually restores your vision to normal! Macular Degeneration, commonly affecting those over age 60, occurs when the small central portion of the retina, known as the macula, begins to deteriorate. 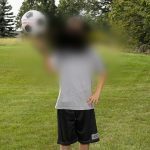 While it doesn’t usually result in blindness, macular degeneration is a leading cause of severe vision loss and disability. There are two forms of the disease: wet AMD and dry AMD. The “dry” form refers to the presence of yellow deposits, called drusen, in the macula leading to dimming or distortion of vision. The “wet” form, which is less common, is characterized by the growth of abnormal blood vessels from the choroid underneath the macula. The blood vessels leak blood and fluid into the retina, causing a distortion in your vision as well as loss of central vision. While there is no cure for macular degeneration there are treatments to help prevent severe vision loss. Glaucoma is a condition that causes damage to the eye’s optic nerve, often due to a buildup of pressure. Glaucoma gets worse over time and can cause total blindness within a few years. Most people have little to no symptoms at the early stages of glaucoma, making it very important to see your optometrist or ophthalmologist every 1-2 years. Glaucoma most often occurs in people over the age of 40, but anyone can get it. Symptoms include red eyes, blurred vision, tunnel vision and frequent headaches. Glaucoma may be treated with prescription eye drops, laser surgery or microsurgery, however vision that has been lost can not be restored. Diabetic Retinopathy is an eye disorder often related to people with diabetes. It’s caused by damage to the blood vessels of the light-sensitive part of the eye, known as the retina. Diabetic retinopathy can occur in anyone who has type 1 or type 2 diabetes, and the longer you have diabetes and the less controlled your blood sugar is, the more likely you are to acquire diabetic retinopathy. There are little symptoms as the early stages of diabetic retinopathy but it can result in blindness. Its very important to see your ophthalmologist or optometrist annually to catch diabetic retinopathy early in order to prevent blindness. Refractive errors occur when the shape of the eye prevents light from focusing on the retina. These can be caused by the length of the eyeball, changes in the shape of the cornea, or aging of the lens. Types of refractive errors are myopia (nearsightedness), hyperopia (farsightedness), astigmatism, and presbyopia. While presbyopia affects most people 35 and older, the other refractive disorders can appear in people at any age. Symptoms include: headaches, blurred vision, double vision, halos, and eyestrain. Refractive errors can be treated with eyeglasses, contact lenses and refractive surgery. 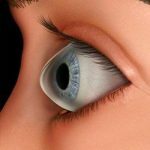 Keratoconus occurs when your cornea, the clear dome-shaped front surface of the eye, thins and gradually bulges outward into a cone shape. This causes blurred vision and sensitivity to light. Keratoconus generally affects both eyes and occurs in people ages 10-25. This condition may progress slowly for 10 years or longer. Treatment depends on the severity of the disease. Mild to moderate keratoconus can be treated with eyeglasses and/or contact lenses. If the cornea becomes scarred surgery may be necessary. Your eyes are very important in many aspects, and losing your vision can be very difficult to adjust too. So how come when people focus on increasing their health, they neglect their eyes! Taking care of your eyes is a necessity, and even small simple changes can help maintain your vision, while small mistakes can ruin it. Keep reading for 8 things that can ruin your eyes. 1. Not Wearing Sunglasses: If you go out somewhere and realize that you’ve forgotten your sunglasses or lost them it’s very important that you go back and get them, or contact your eye doctor to purchase a new pair. Please do not pick up a cheap pair at a drugstore because most lack the proper UV technology to keep your eyes protected and are optically inferior to those provided by your eye doctor. Being outside on a sunny day, especially on a beach, without sunglasses can have devastating effects. Even if you aren’t staring directly at the sun, the rays bounce off of other things such as sand or water and can cause photokeratitis, also known as sun blindness. This is sunburn to your eyes which can result in pain, and temporary vision loss. Also, not protecting your eyes from UVA and UVB rays can increase your risk of cataracts, ultimately leading to vision loss. 2.Rubbing Your Eyes: When you eyes become irritated, there is a most likely a reason. Rubbing your eyes will only make things worse and increase your chance of infection. Your eyes are designed to heal themselves and get rid of any foreign objects. Try blinking to wash away debris, and if that doesn’t work try eye drops to flush your eyes. If they still feel irritated then contact your eye doctor for professional advice. 3. Partaking in Sports Without Protective Eyewear: Athletic activities can be a ton of fun, but devastating without the proper protection. Many sports have high numbers of eye related injuries, all of which could be prevented with the proper eyewear. While your facial bones help to protect your eyes, small objects such as a tennis ball can hit you directly in the eye. 4. DIY Projects Without Goggles: Everyone loves the thrill of completing a DIY home improvement project, but without the proper eyewear these tasks can result in E.R visits. When hammering or cutting up things you are at high risk for debris penetrating your eyes. Always keep a pair of safety goggles at home for these projects. 5. Exposing Your Contacts to Water: Whether you are swimming, showering or just relaxing in a hot tub, always avoiding wearing your contacts. Water is home to many types of parasites which could lead to infection and possibly vision loss. Also, never clean your contacts with water. 6. Wearing Your Contacts too Long: While it may seem tempting to wear your contacts longer than recommended, this could lead to devastating effects. 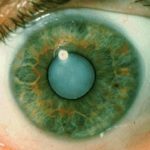 Contacts don’t allow for the proper amount of oxygen to pass through, and after awhile they begin to form a film around them which will completely block the flow of oxygen to your corneas, breaking them down and allowing your eyes to become more susceptible to germs and infections. Always follow the directions on your contacts. 7. 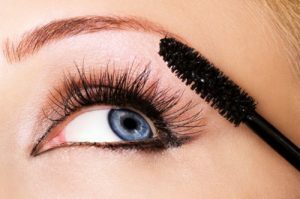 Not Replacing Your Makeup: Eyelashes are home to many germs, causing the spread of them with each swipe of mascara. When you return the brush back into the tube, you are just spreading bacteria and contaminating your makeup. This goes for any type of makeup. Your eyes are very susceptible to infection therefore it’s important to replace your makeup every 3 months to prevent infection. 8. Not Visiting Your Eye Doctor: Whenever you notice any changes to your eyes it’s important to contact your eye doctor right away! Many things can go wrong with your eyes, and vision loss can happen quickly and sometimes be irreversible. Contact your doctor immediately. Bad Eyesight? Here Are Symptoms You Should Never Ignore. While many eye related problems start to appear with age, there are many symptoms that point to a more serious problem and should never be ignored. If you experience any of these you should immediately contact your optometrist or ophthalmologist. 1. Tunnel Vision: Tunnel vision is the common term used to describe the loss of peripheral vision- vision that is outside of the centre of ones gaze. This is usually a sign of glaucoma and should be immediately treated. Glaucoma is caused by pressure due to the build of fluid in the eye, causing damage to the optic nerve. Loss of vision typically starts as an arc above or below the centre of your vision while looking straight ahead. If left untreated the blank area expands. Although damage cannot be repaired, eye drops as well as beta-blockers help to prevent further loss of sight. 2. Eyelid Bumps: Swelling, lumps or waxy red lesions are often symptoms of a common skin cancer known as basal cell carcinoma. This typically occurs on the lower and inner corners of your eyelids. Basal cell carcinoma is caused by overexposure to UV radiation caused by the sunlight, therefore it is important to wear sunglasses. There are many treatments available, so contact your eye doctor if you notice any of these symptoms. 3. Seeing Halos: Seeing halos or rainbows around light is a sign that your eye is not filtering light correctly, causing it to scatter on the cornea or lens. 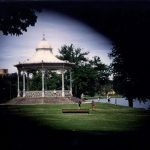 This is often caused by cataracts, a clouding on the lens. Cataracts eventually require surgery and if left untreated, can lead to blindness. Contact your optician immediately. 4. Wavy Lines: If you are experiencing distorted central vision, such as seeing wavy lines instead of straight lines, you should see your optician. 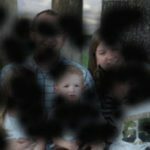 Distorted vision can indicate macular degeneration, a common disease in people over 60. This condition is caused by damaged blood vessels. Macular Degeneration can cause vision loss very quickly, see an expert immediately. 5. Flashes of Light: Flashes of light in the corner of the eye indicate the possibility of vitreous detachment. Vitreous refers to the gel-like fluid the fills the eye, connecting to the retina and optic nerve. As people age the vitreous becomes more watery and flexible as it begins to pull away from the retina, causing a disruption to vision. While this is normal, it’s important to call your doctor if you experience a continued pulling sensation. This could be caused by the retina becoming detached, which may lead to vision loss if left untreated. 6. Light Sensitivity: While squinting in the sun is normal, persistent pain in the eye while looking at light should assessed by your optometrist. This could be a sign of an infection such as conjunctivitis which usually clears up on its own. Light sensitivity could also be a sign of oculomotor damage, which also heals on its own in about 6 weeks. 7. Struggling to See at Night: The inability to see well in dim lighting is often a sign of retinitis pigmentosa. Retinitis pigmentosa is an inherited disorder which causes the photoreceptors, cells that detect light, to die off. Sight loss progresses slowly over many years. There is currently no treatment. According to the American Academy of Opthalmology, 20 million Americans suffer from some form of vision loss. This is an astounding number, considering the wide range of preventive and rehabilitative techniques that have been developed over the last few years. Beach Eye Medical Group, located in Huntington Beach and Irvine, California, offer routine eye check-ups for all ages. We are committed to improving the eye health of every member of our community through prevention and early detection. Our team of eye experts can help you maintain your eye’s health and function. Both of our facilities are equipped with the latest medical equipment to help our well-trained staff diagnose and treat any eye condition. If you haven’t yet, it’s time to kick the habit. Aside from increasing your chances of developing heart and lung diseases, smoking can also make you more susceptible to cataracts and macular degeneration. The eye experts at the Beach Eye Medical Group are ready to help you succeed! Our eyes need to be protected from ultraviolet (UV) rays to lessen the chances of cataracts or macular degeneration. 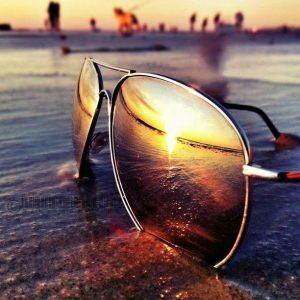 Remember that aside from suiting your personal style, your sunglasses should also protect your eyes from both UVA and UVB Rays. Meanwhile, sun protection options are also available for clients who wear prescription glasses and contact lenses. How many hours do you spend looking at your phone every day? Continued screen time can cause a multitude of eye problems such as eye strain, dry eyes and headaches. Taking a few minutes away from the screen can greatly contribute to your eye health. If you can’t help but be in constant contact with a screen, visit Beach Eye Medical Group in Huntington Beach and Irvine to ensure that your glasses and/or contact lens prescriptions are up to date. You can also ask our eye specialists if you need special glasses to protect your eyes while you work. Visit you eye doctor regularly – even if you don’t have existing problems! A lot of people think that the only time they should get their eyes checked is when something is wrong. On the contrary, it is important to ensure that your eyes are in good shape while they are still healthy. This way, our eye experts are able to catch any signs of eye disease at its earliest stage in order to prevent it from getting worse. Don’t wait until you feel that something is wrong with your vision. Visit the Beach Eye Medical Group today and speak to our eye specialists about how you can keep your eyes healthy. Who Does Your Child See First? Your child’s first eye exam can be a little confusing, a little daunting and a real adventure. While it might seem obvious to some, exactly who to set up an appointment with for your child first exam can be a little blurry. Is it the optician? Or is it the optometrist? And how about the ophthalmologist? Don’t worry, here’s a quick guide for picking the type of eye care professional to match the needs of your child. You can cross an optician off the list for your child’s initial exam. An optician is not an eye doctor, they don’t do eye exams and they don’t prescribe glasses. What an optician does do is make and fit glasses and educate wearers – especially those new to glasses, like kids – in the proper use and care of eyewear. Most likely you’re going to make the initial exam for your child with a Doctor of Optometry, better known as an optometrist. They are licensed eye care professionals who are trained to perform eye exams, diagnose and treat vision problems. Optometrists can also prescribe eyeglasses. Rounding out the group is an ophthalmologist, who is a physician that has specialized in medical and surgical eye car. Most likely they have followed up their time at a medical school with concentrated training in eye surgeries. They are also qualified to treat general eye and vision care and all the other things an optometrist can do, but can also perform eye surgeries. With the winter months here, many people are spending increasing amounts of time in front of the computer while at home. The time spent is often on top of the many hours they are already spending at work looking at a computer screen. The extended amount of computer time can lead to all sorts of eye strain and irritation if you’re not careful. Before a problem arises for your eyes, there are some things you can do to insure your vision and eye comfort remains in good health. First, consider getting a routine eye exam and make your eye care professional aware of how often you are using a computer while at work. Even though it may seem like an obvious thing to have, make sure your computer area – at work and home – has proper lighting. This means both too bright and too dark. Floor lamps are often the preferred lighting instead of overhead fluorescent light, which can create harsh lighting that reflects off monitors. If floor lighting isn’t possible at work, try reducing the number of overhead fluorescent lights in use. Make sure your computer display settings are at a level that is comfortable for long term use. This reduces eye strain and fatigue. Adjust the display brightness to about the same as the reading, especially when reading or writing longer documents. Another thing that might seem obvious at first, but is too often overlooked is take steps to minimize monitor glare. Glare creates eye strain and is easily corrected. 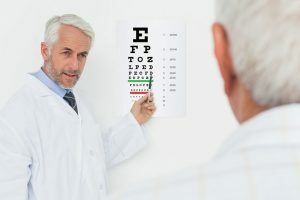 With chronic cases of eye fatigue and irritation, you might consider discussing with your eye care professional a modification of your eyeglass prescription if you currently have one. Contact lens wearers who do sustained, long term computer work should consider “computer” glasses to avoid eyes becoming dry and uncomfortable while at work. Remember to give your eyes a rest at work and home. After every 20 minutes of computer work make sure to look away at a distant object for at least 20 seconds. It allows the focusing muscles in the eyes to relax, which will greatly reduce eye fatigue. While many of us tend to stare intently at the monitor while working at the computer, blinking keeps the eye moistened, which goes a long way towards preventing irritations and dryness. Hey, you! Stop rubbing your eyes! We’ve all done it, whether it’s in the morning or after waking up or even after an exhausting stretch at the computer, but be careful about how often you are rubbing your eyes. Has it become a habit? For many people rubbing their eyes has become an almost an unconscious reflex to relieve minor eye irritation. What we tend to forget is that over the course of the day, especially while at work, our hands are exposed to all kinds of dust and dirt. Touching and rubbing your eyes with your hands can transfer harmful germs quickly to your eyes. It’s the easiest way allergies and infections are spread. While the simplest prevention is to stop rubbing your eyes, it’s often a natural reflex that’s hard to control when eyes feel irritation. With that in mind, a great way to reduce the risk of germs coming in contact with your eyes is to periodically wash your hands. It’s a small thing that can have a big impact on your health.